SALARIED, CLINICAL POSITION- no evenings or weekends required! This is a unique opportunity to provide in-depth, clinical, behavioral health services to an incarcerated population as part of an interdisciplinary treatment team. This is a full time position with Partnership Development Group, based out of the Anne Arundel County Detention Facility in Annapolis, MD. The Forensic Behavioral Health Clinician is an employee of the agency who provides behavioral health services to individuals incarcerated within the Anne Arundel County Detention facilities. This position requires licensure at the independent level (LCPC or LCSW-C). The primary responsibilities of this position are focused on the facility’s Behavioral Health Crisis Stabilization unit, including the maintenance of a therapeutic milieu and development/facilitation of therapeutic groups and activities. In addition, the clinician is responsible for diagnostic assessments, individual therapy, the development and implementation of structured therapy groups outside the unit, and participation in interdisciplinary team meetings. The clinician coordinates with other team members, including clinicians, psychiatrists, psychologists, somatic physicians, nurses, and detention center staff. This role requires the ability to develop and provide training for detention center staff. The candidate must be licensed in Maryland as a LCSW-C or LCPC. Experience in correctional settings preferred. Must have experience with adults diagnosed with severe mental illness. Knowledge of the legal system and court proceedings required. Experience in Motivational Interviewing, Dialectical Behavioral Therapy, co-occurring disorders, person-centered treatment planning, and differential diagnosis utilizing the DSM 5/ICD-10 required. Must have the ability to communicate clearly, both orally and in writing. Experience with Electronic Medical Records preferred. Preference will be given to English/Spanish bilingual candidates. 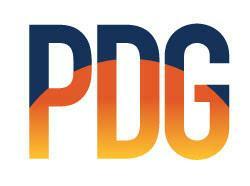 For over 15 years PDG has been providing behavioral health and vocational services to individuals with serious mental illness, co-occurring substance use disorders, and other disabilities. Through life and employment skills training, community reintegration, resource development, and advocacy, staff encourage and aid individuals with disabilities to reach their highest levels of productivity, independence, and inclusion in the community. Partnership Development Group is a dynamic, detail-oriented workplace that constantly strives to provide excellent mental health care services to our community. Our staff are self-driven, flexible to change, compassionate, and dedicated. Though we work with an always-changing and challenging population, it’s our company’s teamwork and positive attitude that best inspire and aid our consumers.